Focus on effective protection of the engine, side plastic panels and indirectly of radiator. 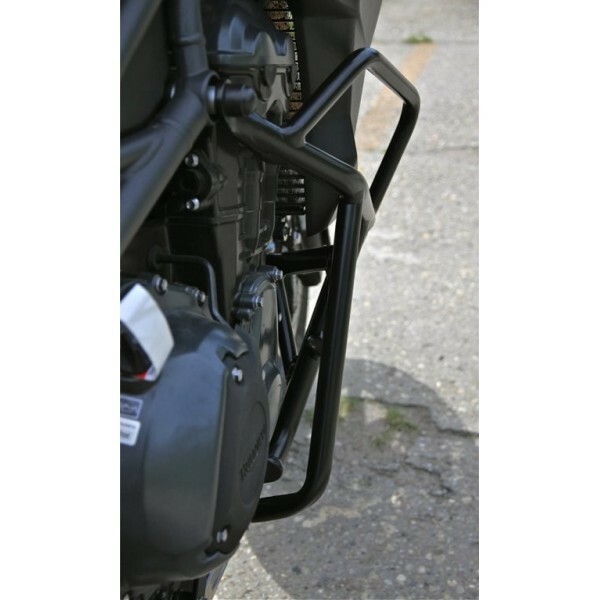 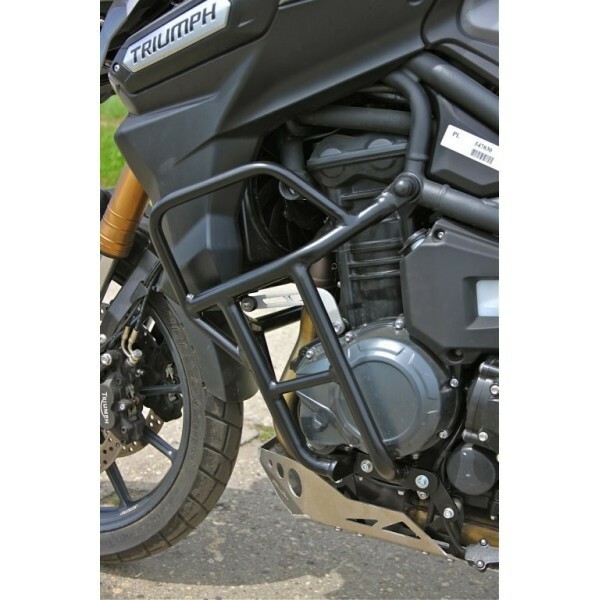 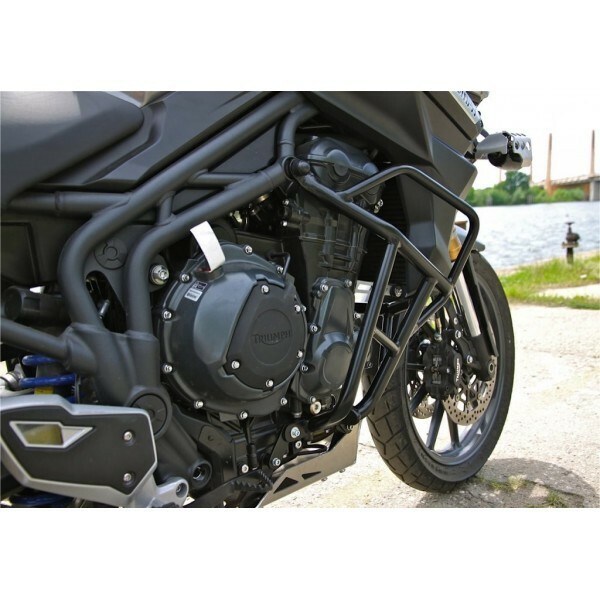 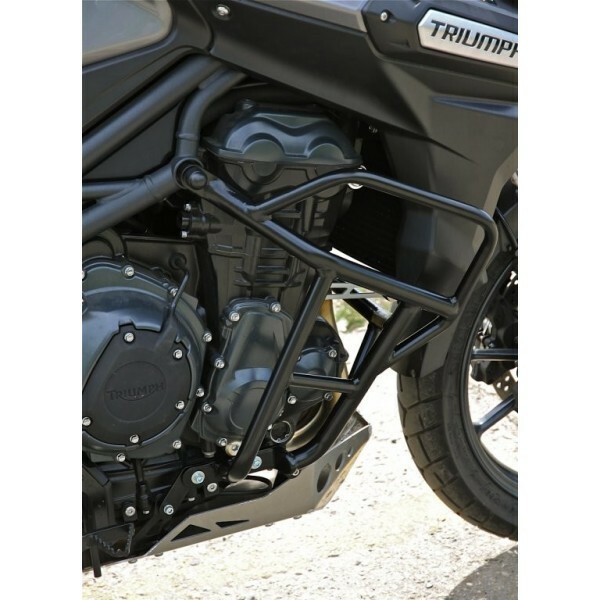 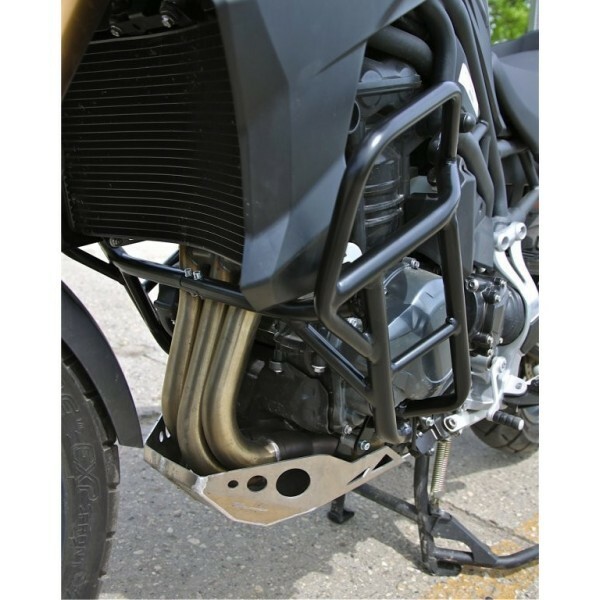 This crash bar is constructed to fit the Tiger Explorer perfectly with all curves of the crash bars parallel to the line of the motorbike. 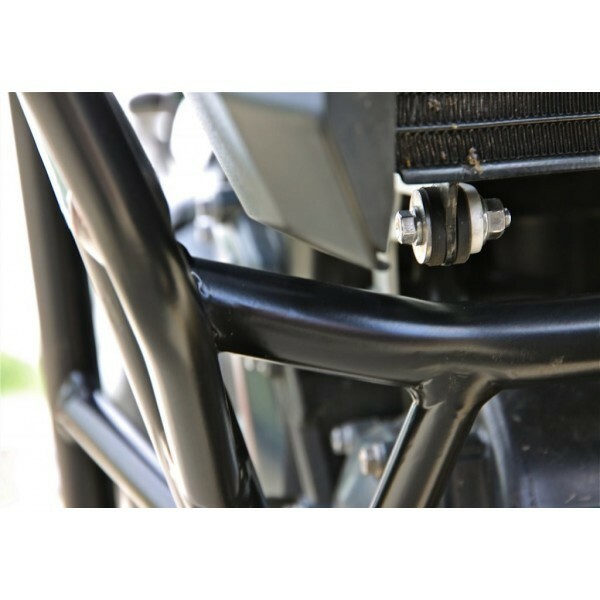 In the lower section, the crash bar is attached to the motorbike via a special fastening system (included) where during a crash the force is carried to linking screws not directly to the block of the engine. 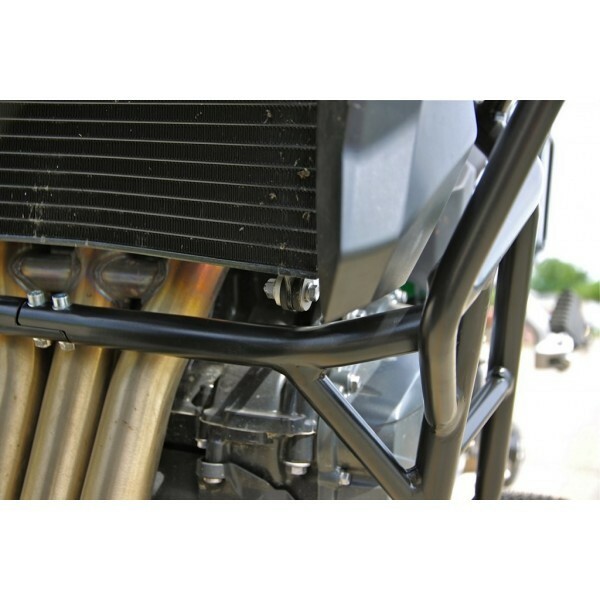 The upper portion is designed to be highly impact resilient specifically so that it will not cave into the plastic. 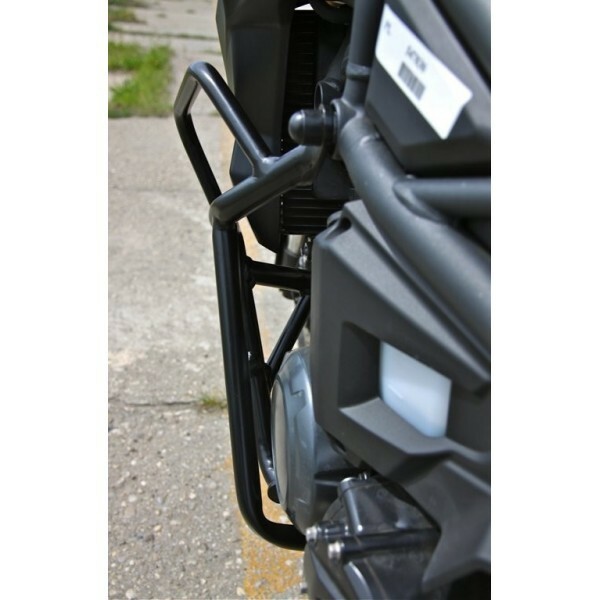 Extremely tight tolerances and straightforward attachment to the factory provided mounting points make for an easy installation. 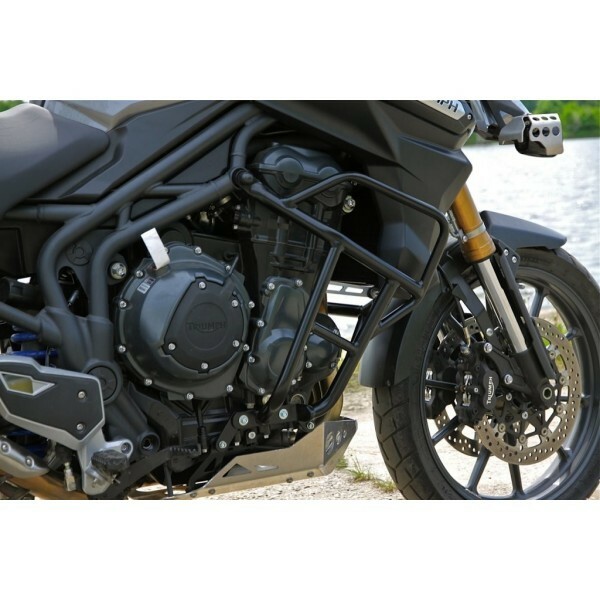 Works in conjunction with nearly all bash plates on the market. 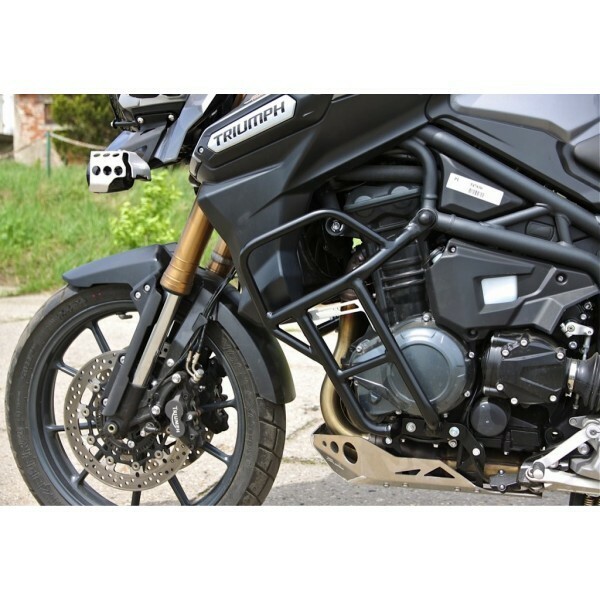 Does not work with Adventure-Spec bashplate!